The ritzy lights, the buzzy spins, the chinking coins, the bonuses, the mega wins! Online slot machines are truly the celebs of online casino gambling. The best part is that they are fun, rewarding, and easy to play at an online casino. 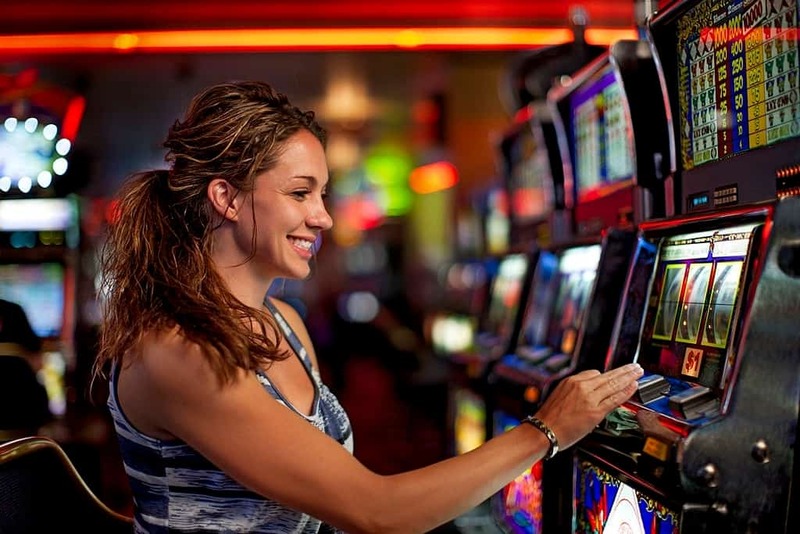 The truth, however, is that there are way too many online slot machines to choose from. And they come in all shapes, sizes, and styles. From the classic slots to 3D slots, which slots are the very best? Whether you’re a novice or a veteran player, here are 5 top online casino slots you need to know. It’s a rundown of 5 most popular slots in the online casino scene. No article about online slot machines is ever complete without mentioning Starburst. The superbly popular NetEnt title has become almost synonymous with the concept of online slots. In fact, it’s quite standard for online casinos to welcome new players with free spins on Starburst. Starburst is a Galaxy-themed slot with 5 reels populated by 10 paylines. As such, the game is designed with the less is more philosophy in mind. It’s, therefore, simple yet fun and equally rewarding. The fairly high RTP of 96.1% means that Starburst offers great value to the player. What makes Starburst stand out from the rest, however, is the classic Arcade look and feel. This makes the game instantly familiar to players, especially if those who have been to a land-based casino. What’s even better is that Starburst is offered by just about any online casino. Chiming at #2 is Jumanji, an online slot game that was recently released in 2018. For a newcomer, the buzz Jumanji has already generated is remarkable. And for good reason. The Swedish gaming developer NetEnt collaborated with Sony on this one. When two powerhouses in gaming and entertainment join hands, you can’t expect anything less. The slot game lives up to the hype. It’s a classic 5-reel slot with up to 36 paylines, giving players an abundance of ways to win. The gameplay is fresh, and the slot is teeming with special features. The icing on the cake is the Wild symbols and scatters that enable players to rake in the big wins. Because it’s based on a popular movie, the graphics are rich and the design is clean and sleek. Its gameplay will get your adrenaline running. You can get started with as little as 0.001 per spin. With a max of 200 coins per spin, Jumanji is also ideal for high rollers. It also has a high RTP of 96.1%. Moolah is slang for money. And true to that, Mega Moolah is a slot game has made several online casino players millionaires. The recent big win was a whopping €18 million. It’s not just the high payouts that keep players coming back. Mega Moolah has exciting gameplay, rich African theme, and three jackpots to boot. The African-themed slot is another banger from gaming developer Microgaming. It comes with the standard 5 reels structure loaded with 25 paylines. This gives players plenty of ways to come up with winning combos. Mega Moolah boasts of a free spins feature. To cap it off, there are bonus rounds that can be triggered randomly. If you’re lucky to reach wheel of fortune level, you can activate one of the 3 jackpots. That’s where the stuff gets really exciting. Start playing Mega Moolah for as little as €0.01. Age of the Gods is a masterpiece from Playtech. It’s a 5-reel, 20-payline slot game that offers exciting Wilds, Scatters, and free spins. What makes it stand out are the bonuses and 5x multiplier. If you land the Wilds Athena, Zeus, Hercules or Poseidon, you get up to 20,000x payout. The RTP of 95% at most online casinos isn’t bad too. The predecessor to Mega Fortune Saga, this slot game is all about the finer things in life. It’s another amazingly loved NetEnt slot. It boasts of 5 reels with 25 paylines. The yacht is the Wild symbol and you can enjoy up to 5x multipliers. There’s also a chance to trigger one of the 3 jackpots: mega, rapid & major. Mega Fortune gameplay is easy and straightforward. The key is to reach the Mega Fortune Wheel. Nonetheless, the high RTP of 96.6% is already rewarding enough for the unlucky ones.